IEAP CTU is a member of the Cosmic-Ray Extremely Distributed Observatory (CREDO) project. This is a scientific project launched at the end of August 2016 by Polish scientists from the Institute of Nuclear Physics PAS in Krakow. Its goal is to detect cosmic rays on a large area, using the general public who can engage in research with their smart mobile phone with a GPS module and a CCD camera chip serving as a simple cosmic ray particle detector. 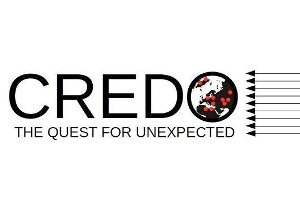 On 17 May 2018, the CREDO Detector application for mobile phones was officially released.